Grades 4-5 and 6-7 surrounding issues of bullying and inclusion. If you are interested in participating in this pilot program, please contact Talia Alberts at talia.film@gmail.com for more information. ABIGAIL (Molly Rose Meredith) - A spunky tomboy who finds no one more infuriating than her younger brother. She just wants to play basketball and hang out with her friends, but Norman always seems to get in the way. NORMAN (Jake Schloss) - A flesh-loving space cadet who wants to do nothing more than play video games and take in the world around him. He tends to keep to himself, but he wishes Abigail would include him more often. 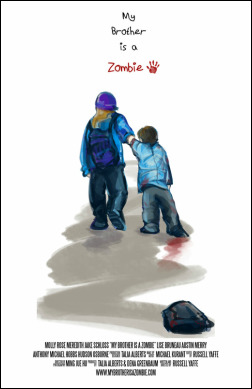 MOM (Lise Bruneau) - A single mother struggling to raise a rebellious daughter and a zombie son. She often feels overwhelmed with work and her combative family, but she fights for Norman without fail. WALTER (Austin Merry) - A bright, quiet kid with a crush on Abigail that he acts on by roughhousing with her. When others make fun of Norman, Walter ignores them. CONNOR (Anthony Michael Hobbs) - An insecure kid who tries to act tough. He plays class clown and makes fun of others as a defense mechanism, without realizing the damage he causes. JAKE (Hudson Osborne) - An observant kid who is Connor's best friend. He thinks Connor is a bit silly sometimes but still loves to hang out with him in the neighborhood. Russell Yaffe is a Brooklyn-based filmmaker whose short films and music videos have screened on four continents. Festival screenings include the Austin Film Festival, Atlanta Film Festival, Cinequest, IFFBoston, Indie Memphis, and the Cucalorus Film Festival. Russell has worked as an editor on HBO Sports documentary Student Athlete and independent feature films The Sisterhood of Night and Here One Minute, and he has edited numerous videos for Buzzfeed. "My Brother Is A Zombie" was filmed in Bethesda, MD, where Russell attended Walter Johnson High School and took filmmaking classes at Imagination Stage. Talia Alberts is a filmmaker from Los Angeles who studied in Chicago and currently calls Brooklyn home. Her love of travel took her to Madrid for a year where she created and led an English-language filmmaking workshop for Spanish middle school students. Talia works in a variety of media including film, television, music videos, branded content, and video art. She is fascinated by the intricacies of human relationships, often focusing her films on realistic and relatable characters overcoming personal struggle. Talia strives to create artful pieces that provoke thought and evoke emotion. Ming Jue Hu grew up in New York where he studied photography before enrolling at Tisch School of the Arts, New York University, where he learned skills under the mentorship of Geoffrey Erb (‘Law & Order: SVU,’ ‘The Equalizer’). Ming has worked as a cinematographer on feature films, music videos, commercials and fashions films. From high-end commercials for clients such as British Airways, NBA, and Sony to engaging narrative and documentaries, the story always comes first and is always the primary motivation to his approach to lighting and camera work. The feature film “M Cream”, which he shot in India, won Best Feature Film Award at the Rhode Island International Film Festival. It also took home Best Cinematography Award at Madrid International Film Festival. In 2018, Ming was selected as one of Rising Stars of Cinematography by American Cinematographer Magazine. Currently Ming is based in New York, but often divides his time between Beijing and LA as well. Thanks to incredible support for our indiegogo campaign, we were able to raise the necessary funds to complete our film. 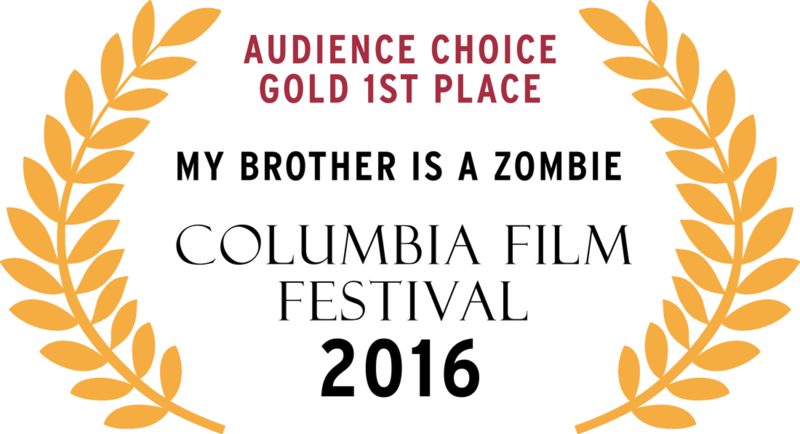 Watch out for "My Brother Is A Zombie" - coming to a theater near you!